If you have financial problems, it is a natural reaction to try to ignore them and hope they go away. Sadly, this is nearly always a recipe for making things a lot worse. Here are some ideas for some ways in which you can get a grip on your financial problems, enabling you to take control again. Most importantly, it is about developing a different way of thinking about money. It is, however, constructive to deal with small problems before they become insurmountable. If you can't pay a bill, contact the company in question and see if you can make smaller regular repayments. Putting your head in the sand is never a useful option, your financial problems will only get worse and you may end up facing court cases and bailiffs. If you have a poor credit history, need access to emergency finance and you own a car, a log book loan from us here at Car Cash Point is the option for you. Of course, you'll still have to repay the loan. 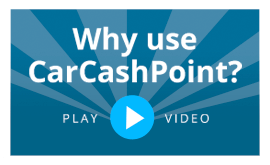 However, here at Car Cash Point, we don't penalise customers for early redemption and you can make overpayments and pay off the loan against your car quicker. One way of finding solutions to financial problems is to think differently about money. Learn how to budget and, where possible, save. If you feel that you deserve a treat, have a look online as many items and products are much cheaper online than on the high street. We are in a perfect era to gain a great deal. Businesses and companies will do almost anything in order to gain your custom. A key tip is to be aware of exactly how much money you have in your account, this limits the risk of facing bank charges as a result of an expensive unauthorised overdraft. The Telegraph points out how smart watches and smartphones allow you to check your bank balance on a regular basis with little or no effort, so download an app to help you keep track of your finances. You should also be aware that circumstances do change, as a result of these changes you may face extra debt from time to time. Don't panic there are a few solutions if you encounter financial problems. You can get a loan or pawn your goods, but these debts will still have to be paid back, on top of your existing financial commitments. However, Car Cash Point are here if you need finance fast with no credit checks. Additionally, if you have a Logbook Loan with another lender, by switching to Car Cash Point, we guarantee to lower your repayments by 10%. The most important thing to remember, in the long term, is that your mindset and attitude to your finances are the most important thing - that will help to make you decisions moving forward easier.